Salzburger Sportwelt is in Austria at an altitude of 600m1,969ft with 760km472 miles of marked runs. When will it snow in Salzburger Sportwelt? 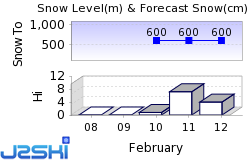 The next notable snow forecast for Salzburger Sportwelt is 8cm3in, expected on 28 April. How High is Salzburger Sportwelt? Salzburger Sportwelt is within the Amadé Ski Area, which boasts 760km472 miles of downhill pistes, with 375 marked ski runs, served by 270 ski lifts. The Salzburger Sportwelt Ski Area includes 8 Austrian Ski Resorts with a combined total of 760km472 miles of downhill skiing, with 144 marked pistes, served by a total of 270 ski lifts. The appropriate Lift Pass allows you to ski or snowboard in any of the ski areas of Altenmarkt-Zauchensee, Filzmoos, Flachau, Goldegg, Kleinarl, Radstadt, St. Johann-Alpendorf and Wagrain. With ski lifts as high as 2,200m7,218ft, snow cover is generally reliable. Salzburger Sportwelt is highly rated by Snowboarders and there are a variety of Snow and Terrain Parks. When is Salzburger Sportwelt open? We don't currently have confirmed season dates for Salzburger Sportwelt. NOTE:- Lift and Piste openings are always subject to Snow Conditions in Salzburger Sportwelt. There are 270 ski lifts in Salzburger Sportwelt. Salzburger Sportwelt is in Sankt Nikolai im Sölktal, Liezen, Austria. The nearest airports to Salzburger Sportwelt are Salzburg, Graz and Klagenfurt. There are nine airports within three hours drive. Salzburg is just one hours drive away, in good driving conditions, so you can be on the piste quickly. Want to Know when it Snows in Salzburger Sportwelt? 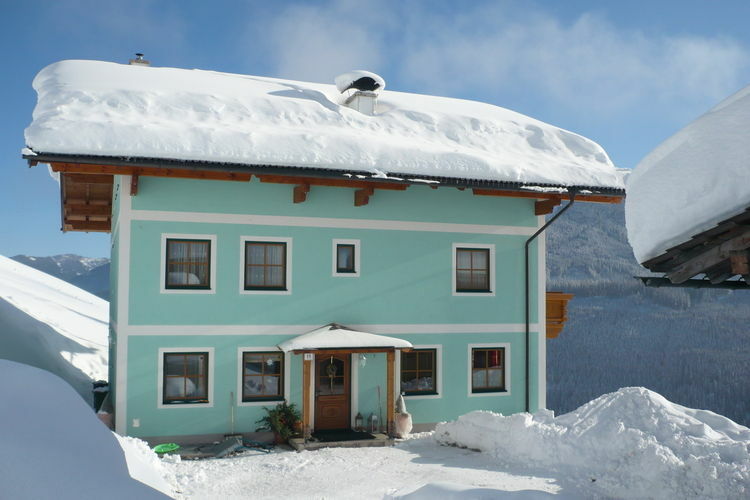 Click above to get Snow Reports by e-Mail for Salzburger Sportwelt. By doing so, you agree to Our Rules. Other Ski Areas within Amadé. Ski Areas within Salzburger Sportwelt. Other popular Ski Areas near Salzburger Sportwelt. Ski Hire Shops in Flachau, Filzmoos, Altenmarkt-Zauchensee, Wagrain and Kleinarl. Common questions about Salzburger Sportwelt. Want to ask about skiing and snowboarding in Salzburger Sportwelt? Note :- The information on J2Ski concerning Salzburger Sportwelt, where not clearly factual, is opinion only and is neither definitive or exhaustive. Warning :- Snow Sports are Dangerous! Skiing, snowboarding and all winter sports involve risk of serious injury or death. You MUST confirm all information, especially snow and weather conditions, in Salzburger Sportwelt before you ski or board. You participate at your own risk.